Hostcentral has been supplying best of breed web hosting, dedicated server and server co-location services to clients since 2002. Using our very own Melbourne based network and hardware, we strive to provide our customers with fantastic service without the high price tag! We're that certain Hostcentral will surpass your hosting requirements, that we even offer a 99.5% uptime guarantee! Web and email hosting from $11.00 per month! 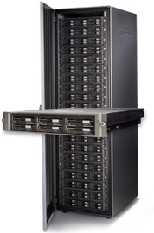 Dedicated server solutions from $330 per month! Server co-location facilities from only $220 per month! 128-bit SSL certificates from $133 per year! Domain name registration from $27.50 per year! Plus a range of additional services that are sure to please! Contact us for more information.